Selamat datang (welcome) to Villa 351 This is a home with a view that you will never forget. 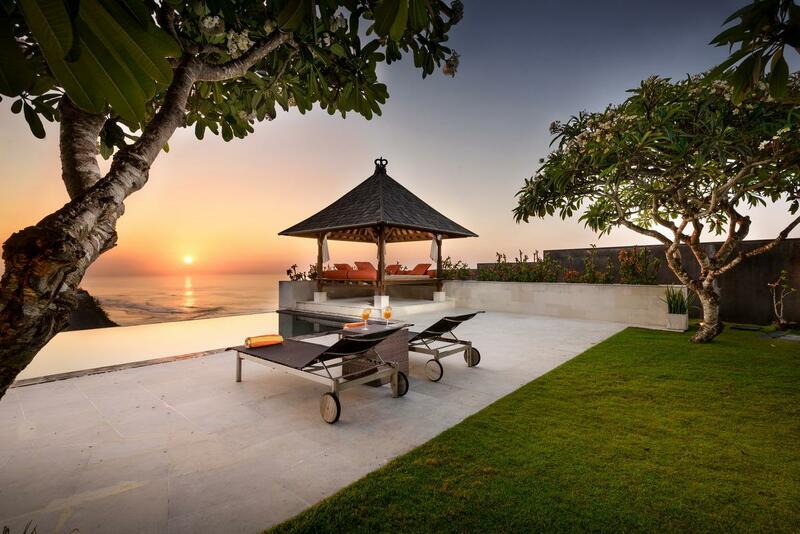 A Bali family accommodation, a home to where you will always look forward to returning. Lose yourself in the tranquil and soothing character of our cliff top villa, set in a secluded but prestigious area near the traditional Balinese village of Kutuh, Ungasan. 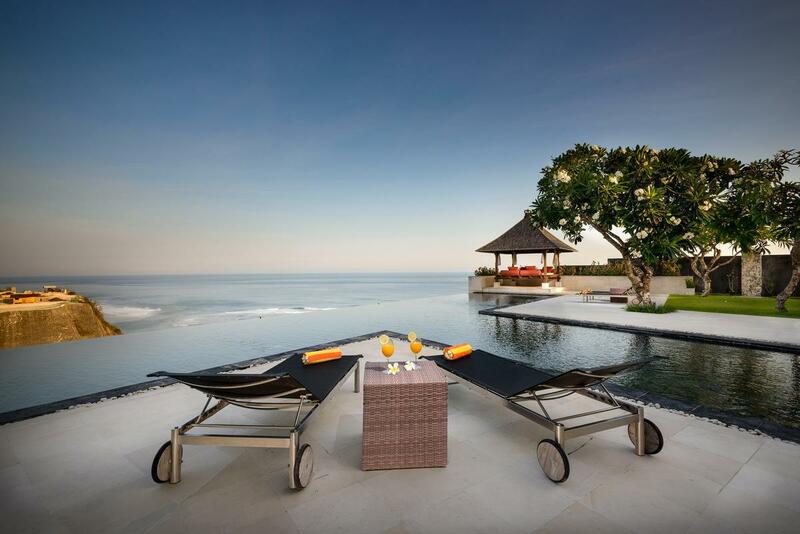 Enjoy the warm sea breezes, breathtaking sunrises and, quite simply, one of Bali’s most spectacular panoramic ocean views. 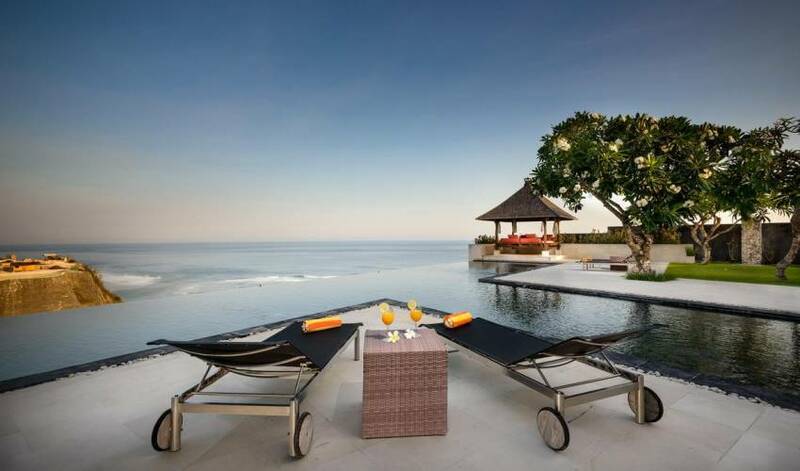 Villa 351 is Jimbaran sea view villa, located in the villa compound estate. 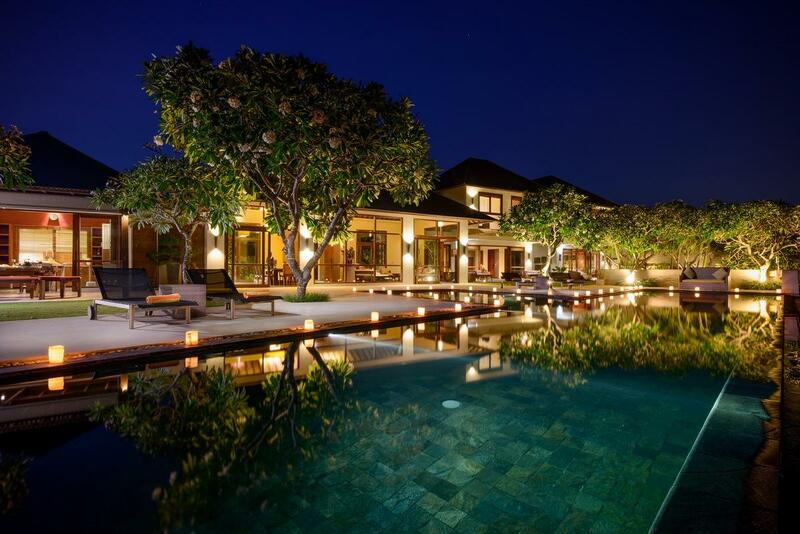 An exclusive gated community within a 30-minute drive from Bali’s international airport. 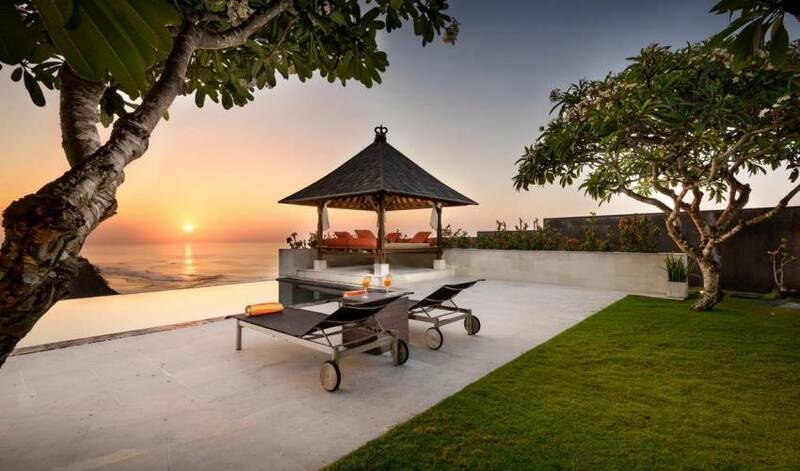 Secluded yet accessible means our villa is the perfect location for family accommodation and anyone looking for a get-away-from-it-all, luxurious private sanctuary but still wants to enjoy Bali’s many attractions, entertainment and dining options. The elegant two-storey, four bedroom villa has been created to maximise the stunning sea views from almost every available angle. The architectural and interior design of the villa is a contemporary Balinese style and features a traditional roof design and construction. It is decorated with high quality furnishings, art, and artefacts made in Bali by local artists and craftsmen. 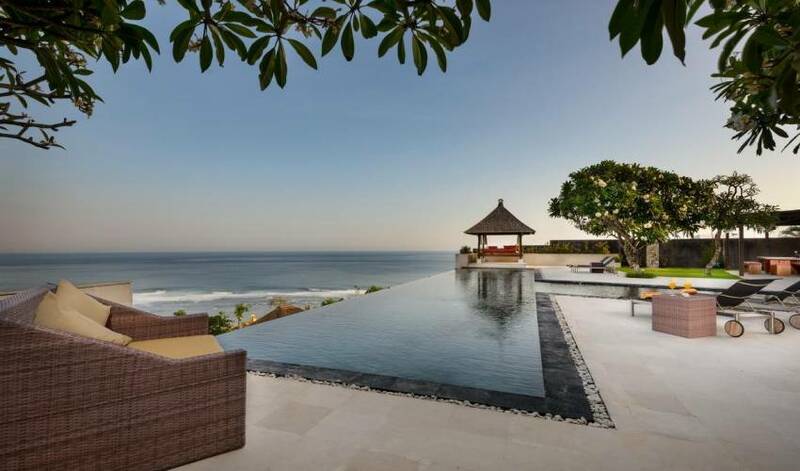 However, the villa also features state-of-the-art technology including a Hi-Fi system with iPhone/iPod input, BOSE home entertainment centre, Sony PlayStation, more than 100 channels satellite TV and wireless broadband connectivity throughout the property. 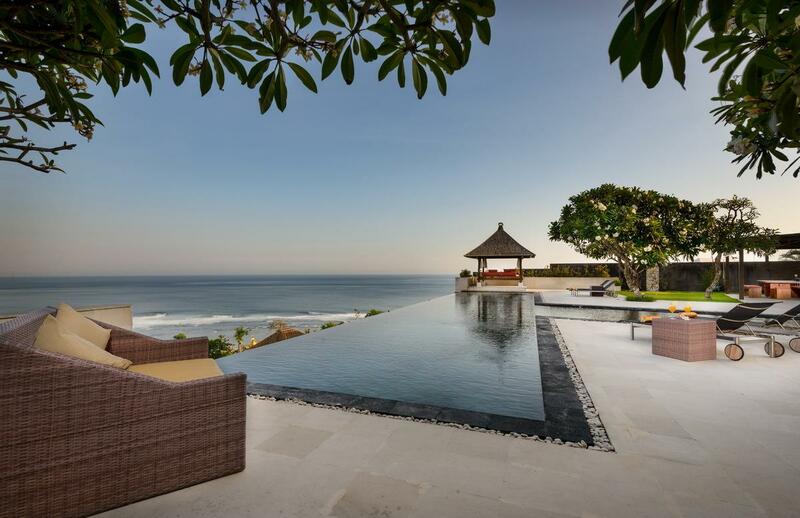 Villa 351 guests have access to a private Beach Club on the unspoiled Pandawa Beach, a 10-minute drive from the villa. The villa is perfect for special events: weddings, reunions, birthday parties, private barbeques or just a relaxing place to meet with friends. 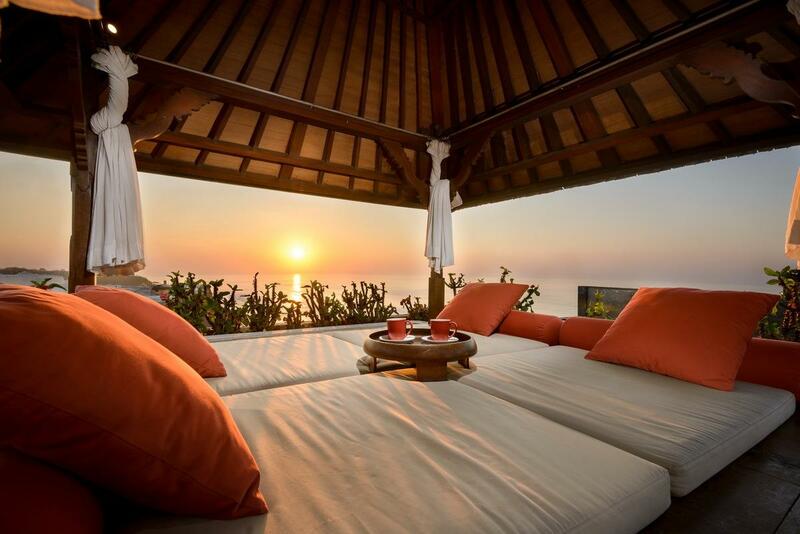 Whatever the occasion, Villa 351 is your private sanctuary on the Island of the Gods. 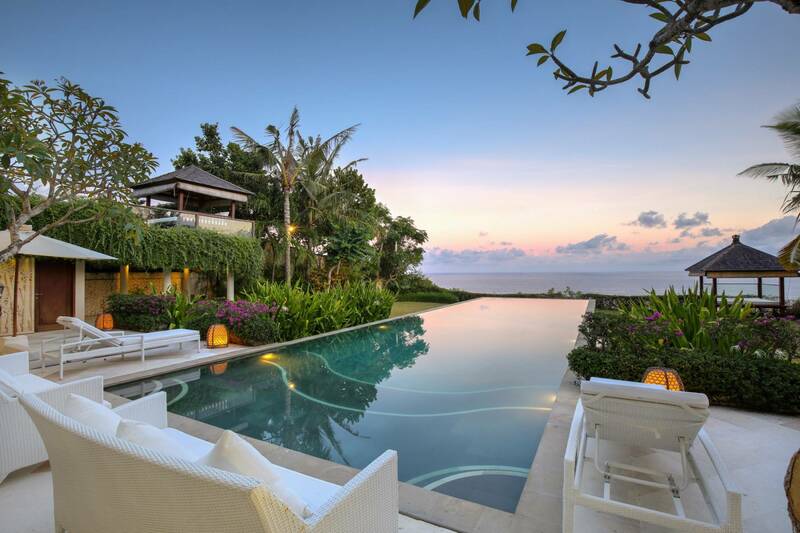 Villa 351 located in Jimbaran Hills, has four bedrooms that sleep up to eight people, all with private bathrooms and panoramic ocean views. The Villa features a family living/media room, private massage facilities, spacious public living and dining areas, an infinity edge swimming pool (T-Shape Pool) overlooking the Indian Ocean, day gazebo and a fully-equipped, contemporary western kitchen, all supported by state-of-the-art fixtures, fittings and appliances. Smoking is not allowed in any of the villas rooms. This spacious Master Bedroom is located on the Ground Floor. 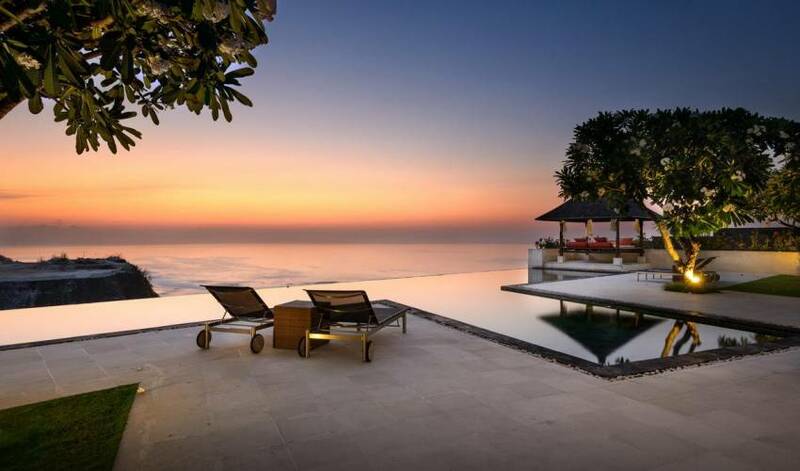 It overlooks the ocean and faces the infinity-edge swimming pool allowing guests to embrace the sunrise and ocean breezes from the moment they wake. The room features a large en-suite bathroom; walk-in closet and private outside massage and shower area. As with all the bedrooms, the contemporary interior design is complimented by elegant furniture, furnishings and art that result in a warm, enticing and extremely stylish feel to the room. The spacious en-suite bathroom features a deep oval shaped soaking tub and indoor and outdoor showers. 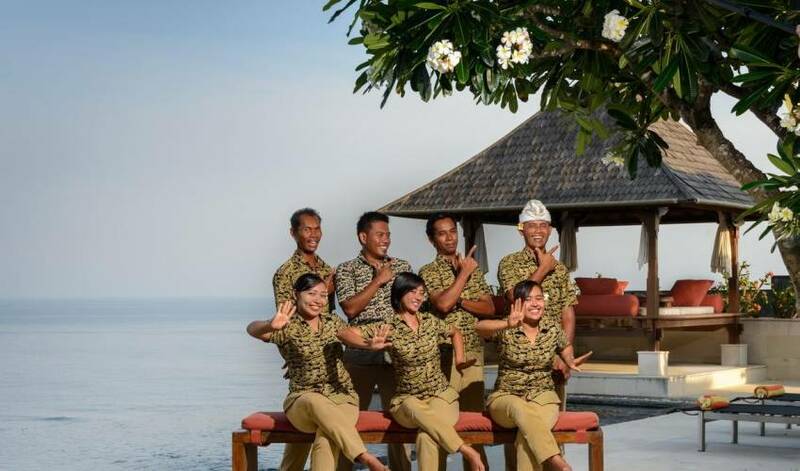 The Villa’s ambiance makes it the perfect place to experience the traditional spa and massage treatments for which Bali is renowned. The Massage Terrace, adjacent to the ground floor Master Bedroom offers a perfect sanctuary to indulge and pamper yourself. A trained therapist will assist you to select from a range of massages or treatments. Positioned on the First Floor, the second Master Bedroom is the perfect space for couples. The room is reached from one of the Villa's architectural features, a spiraling ramp that replaces a traditional staircase to reach the split-level second floor. The room features large glass doors and windows on 2 sides that provide access to a wrap around balcony and offers outstanding, uninterrupted views of the Indian Ocean, the rugged seascape and the Villas lush tropical gardens. 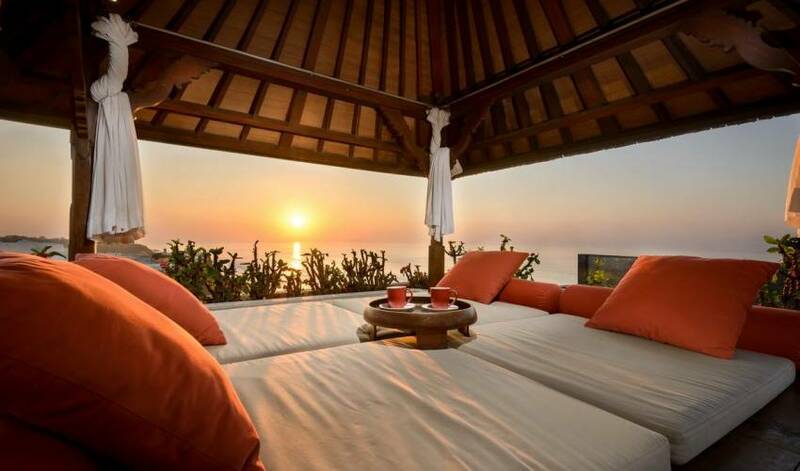 A sunrise seen from this room is an experience that you are unlikely to forget. Located on the upper level of the First Floor, this bedroom and private bathroom is designed to create a warm and relaxing ambience and features contemporary décor in a rustic style, complimented by original paintings by local artists and high quality finishings. The floor-to-ceiling windows offer great views of the Indian Ocean, the Villa and its surroundings. Designed with kids in mind, this room can either be set up with twin beds or a king-sized double bed. Like all the Villa’s bedrooms, the floor-to-ceiling windows offer great views of the Indian Ocean, the Villa and its surroundings but all doors and windows can be locked for added safety. The room and its private bathroom has a fun and relaxed feel to it but as it is elegantly appointed with quality furnishings, it is the perfect home-from-home for the young, young at heart or anyone else for that matter. Villa 351 is the best family accommodation in Jimbaran, because the facilities in this Villa is suitable for family activities. The Family Living/Media Roomis a perfect space for reading, playing or just hanging out together. A home entertainment centre, video game console, LCD multi-channel TV and a selection of traditional board games make this comfortable room the Villa’s entertainment hub. A wide array of video games, DVD movies, and books are available for your enjoyment. The formal dining area and the main Living Room are located in the Central Pavilion. 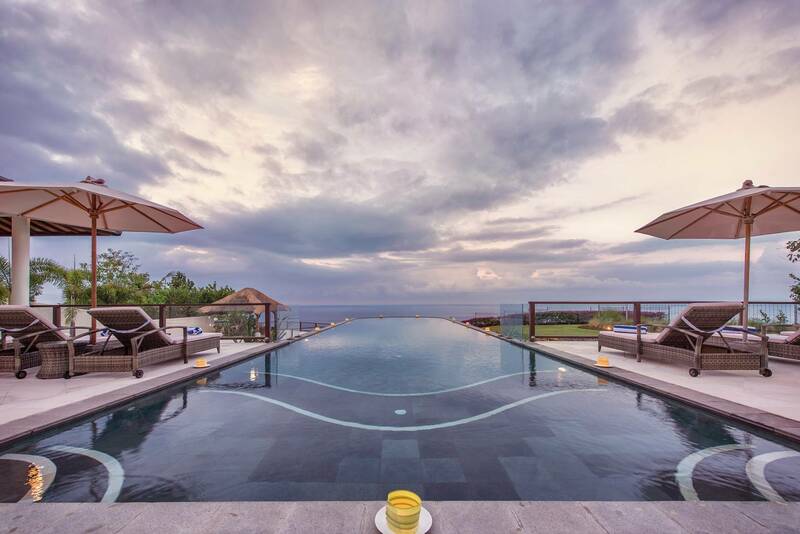 This large room with direct access to the pool features a high traditional roof and spectacular ocean views. The room is adjacent to the modern, western style kitchen that provides all mod cons, including a built-in coffee/espresso maker, breakfast bar and a covered alfresco dining area. A Chef is available to prepare a selection of local and international dishes from the available menu for breakfast, lunch or dinner, including a number of kid’s favourites. Meals can be enjoyed indoors and outdoors, formal or relaxed by the pool or in the day gazebo. The choice is yours. A romantic candle light dinner by the pool and under the moonlight and stars in the southern sky can also be arranged. All you need to do is ask.